In a surprise decision the 2012 Stirling prize went to neither of the critics’ favourite buildings, nor to the Olympic Stadium. 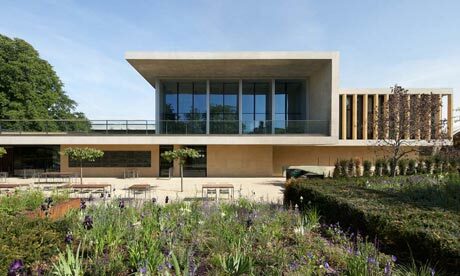 The winner is a relatively modest laboratory in Cambridge, designed by Stanton Williams, set in the university’s Botanic Gardens. Don’t miss the virtual tour here. Oooh. Stunning. I love the reflection of the person — doing the photograph? — in the Reception panorama.